Product #46657 | SKU 15240 | 0.0 (no ratings yet) Thanks for your rating! The K&M 15240 Flugelhorn Stand features a 5-leg base that provides enhanced stability and is designed to firmly hold your flugelhorn in place. Attached to the peg using metal screws, the legs can be detached when not in use, thus saving space. Felt pads on the back of the plastic peg provide added protection to the instrument. 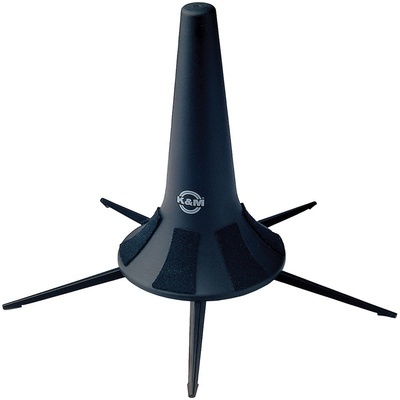 Weighing 0.92 lb (0.42 kg), the Flugelhorn Stand is easily portable and sports a black finish.